We are designing and manufacturing Tungsten Alloy Crankshaft Balancing Weights which are used to improve the performance of engine in aircraft, race cars and others. We provide these in various sizes and weight values. It's purpose is to find the points where addition or subtraction of metal is needed. 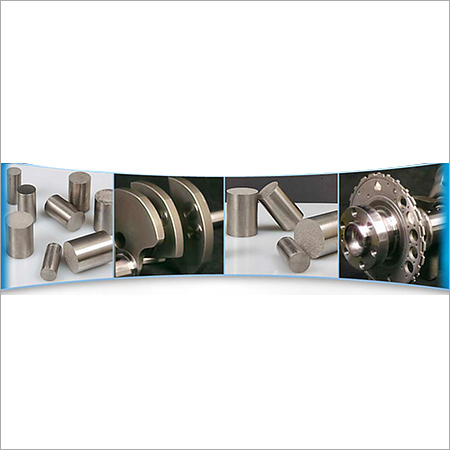 The rust resistant Tungsten Alloy Crankshaft Balancing Weights have good dimensional accuracy and are perfectly finished as per industry standards. In the international market, these are appreciated for higher levels of conductivity and melting points. Owing to these products, the center of gravity is created or shifted to ascertain perfect balance. It's density is up to 18.89 g/cm3 and has high modulus of elasticity. These are also used as absorber and damper components in the drive train. The product is used in aviation & aerospace sectors in avionics systems, propeller and helicopter blades, radar equipment and rudders. Tungsten Alloy Crankshaft Balancing weights are designed to enhance the performance of engine in race cars, aircraft etc. These balancing weights are available in varied sizes and weight values. Able to determine the points where metal needs to be added or removed.